Why no one leaves a comment? How to get comments on your website/blog? What steps to take to improve your blog engagement in 2018? 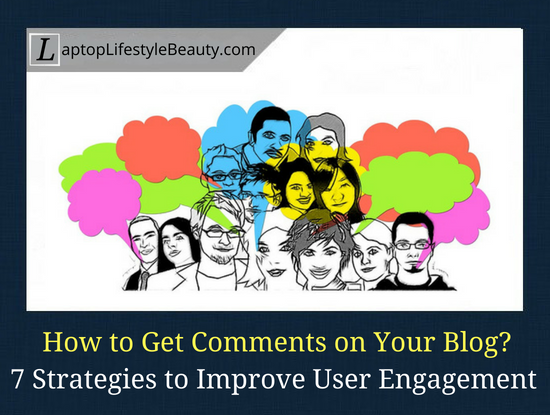 In this post, we will examine this aspect of blogging: user engagement and comments. Getting comments on a blog is challenging. And it sure is one of the common beginning blogger concerns. Specifically, why no one comments on new, beginner blogs and what exactly to do to finally start getting comments on your blog. This problem is widespread and occurs in 99% of the blogs/websites, which are 1 to 6 months old. I analyzed the situation with the new blogs online and made the following conclusions that I wanted to share with you. Let’s expand on this before moving on to strategies to improve this situation. You see an interesting title, you visit a page and it turns out that the content does not relate to the subject matter indicated in the title. Truthfully, I haven’t seen a lot of such blogs but they do exist. The reason for this may be of a blog’s young “age”, poor optimization and/or rare publication of the blog posts. As a result, a new blog doesn’t get indexed by search engines very well – meaning that a new blog won’t appear on the first page of Google. Internet users have a tendency not to search further than the first page, so a blog stays less known. As a result, less known blogs have fewer comments, if at all. Yes, it does happen that a blog is interesting, its blog posts are optimized and published often and it seems to have a good traffic/visitors, yet still, there are no comments. I figured that the problem might be in the writing style and the presentation that doesn’t encourage discussion. Despite the content being relevant to the blog post’s title, the post itself is either too “dry”, looks impersonal or is too detached. This kind of writing style belongs more to information/news websites or thematic online journals. Understand that on personal blogs, the author and the reader are two interlocutors. I don’t know how about you guys, but personally, I appreciate my time. And I don’t want to waste it, forcing my way through a chaotic navigation and endless motley graphics inside a blog. Not to mention the numerous grammar/spelling errors. No need to waste time when there are so many user-friendly and informative blogs out there. In my opinion, the aforementioned 4 points are the answer to the question as to why the new blogs do not receive comments. Another possible reason could be that the articles are very well explained and do not cause any doubts. Also, if you noticed those articles where there is a possibility of different opinions are a lot better commented on. It’s time to talk about how this blog comments situation can be changed for the better. 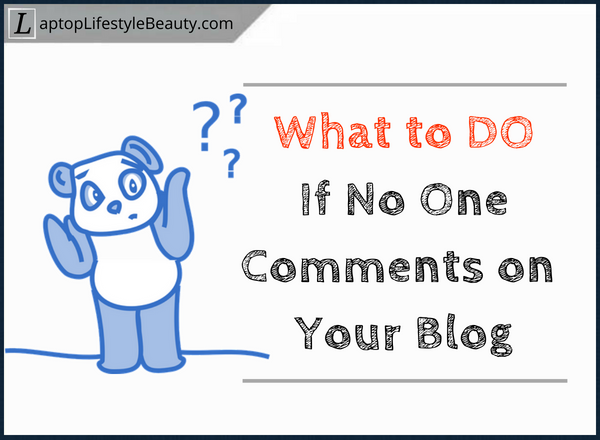 What to Do if No One Comments On a Blog? If you are a beginner blogger and you encounter this issue, then you need to address the underlying problem and constantly improve. Tip #1: Create quality content. Always! There’s a huge debate about blog comments but I personally vote FOR allowing comments. Pat Flynn says that blogging isn’t really blogging unless you enable blog comments. Alright, here are my “tips and tricks” when it comes to increasing blog comments. It is important to focus on writing for PEOPLE first, and then for the Google bots. To start off, the topic introduced in the main title should be fully discussed in the body of the article with relevant pictures and images. Let’s say you decided to create a blog about indoor plants. Now let’s say you decided to create a blog post on how to take care of violets in the apartment/condo area. Chances are that your target audience is the ordinary, urban women who want to make a green area in their apartment territory. How to choose a good planting material? How to prepare the soil? Which is a good pot to choose for the flower? Where to orient the pot in relation to the sun? How many times to water the flower? If you do some research on Jaaxy keyword tool (or any other tool you use), you will know how much traffic and competition there is for these long-tail keywords. Therefore, you will know approximately how much traffic to expect. If you want to get a good response, you must consider all these questions and highlight them in your blog post using simple language. The article should also contain awesome images and/or videos. This will enhance your reader’s understanding AND improve your site’s SEO. Tip #2: Let people know about your blog! The more people will know about your blog, the more visitors you will have, and therefore, the more potential commenters. Find 5-10 small blogs in your niche, visit them daily and leave them quality comments. Try to be the first one to leave a comment on their new blog posts. It is OK to occasionally invite your blogging buddies to your own blog. Most of them will visit your blog and return a favour. Here’s a great resource on how to become a blogging commenting superstar. The principle here is the same as with commenting on blogs. Find 5-10 suitable forums according to your niche, register there and communicate with other forum users. However, don’t make a mistake of adding a link to your blog in every message possible. First, acquire authority within the forum and then present your link. By the way, some forums allow adding a link in the “signature” section of every message. 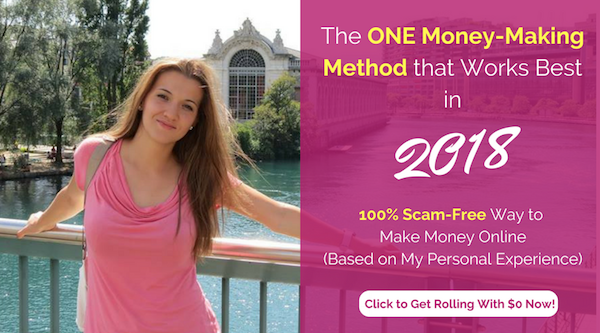 Personally, I am a part of an online business community, which has 1,000,000+ registered users worldwide. This means that when I comment on other members’ posts, most of them are willing to return a favour. Beginner bloggers tend to make this mistake. Here, I will only say that very well optimized blog posts rank well in search engines and are likely to bring you more visitors. This means that having more visitors increases the likelihood of getting comments on your blog. Ideally, a new blog should publish new articles every day and keep up with that rhythm for the first 2 months. However, that rhythm is too heavy for most people especially if it’s a “one-man show”. Aim to publish your articles at least once a week until you can start to outsource. Try to publish your posts on the same days and times. ​This way, you will train the search engine bots to quickly index your articles and the regular readers will visit your blog more often. I personally take it easy if I have quality blog comments and by approving (and replying to them), my blog posts remain active. And that’s great in Google’s eyes. This is not a hard thing to do. Simply organize your blog post in such a way that it inspires your readers to respond. Throughout the whole article, try to ask them questions, ask for their opinion and in the end, say something along the lines “share your opinion in the comment section”. When your readers actually do comment, then show attention to their comments, thank them for visiting a blog and/or respond to their questions. Build your blog with an easy navigation, have a pleasant design and provide a helpful content. You don’t need to be an HTML and CSS person to follow these simple guidelines! I remember when I was just starting out, I had a “Captcha” thing every time people wanted to leave a comment. While it helped to decrease the number of spam attacks it also discouraged my readers to comment. We all like it simple. That’s why I switched the comments plugin to the one that doesn’t require doing “captcha”. Some of you may consider getting Disqus. (I myself may try it out sometime in the future). If you don’t want to change anything for whatever reasons, have a link that will direct your visitors straight to the section area. Let me give you an example to help you visualize it better. If you look at the screenshot below, what I did is I linked the highlighted parts to the comments area. When you click on it, you will be sent straight to the “Add Comment” section, bypassing all the other comments. Imagine if there are hundreds of them! Actually, I just found out about this today and I am excited to use it myself! When there are a lot of comments already, I have a feeling that many won’t want to keep scrolling down to get to your comment form and reply to your article. When you invite your readers to engage at the end of the post, link it to your comment form by adding #commentform as a link. It’s one thing to become a blogger, but it’s another to get your visitors engaged. Don’t underestimate the importance of having comments on a blog! In 2018, one of Google’s algorithms decides which websites to rank first based on visitor and author engagement. This is because EVERY SINGLE REPLY counts as content creation towards Google rankings. Today, Google wants to see consistent content creation and fresh, new stuff. In fact, site comments is one of the main SEO strategies that will explode your rankings in 2018. Getting Comments on Your Blog: Your Thoughts? I hope I was clear on the reasons why the new blogs aren’t commented on and how exactly you can get comments on your blog if you are one of those new bloggers. Do you now understand how to get comments for your blog? What strategy will you use to improve your website’s user engagement? I would love to hear your thoughts, suggestions and questions in the comments! I think all these points are valid. I don't think people tend to comment on blogs at all really. Or if they do it's very rare. I think this is because blogs often make poor discussion platforms. Most comments that are received are at that place of sharing, such as Reddit and Facebook. Sometimes there is an interaction on Twitter (although not much of a discussion platform as it is with Reddit or Facebook). I also think that, as you imply yourself, there is an exception: well-established/popular blogs. Due to the sheer number of readers, a discussion can form in the comments, but if you were to look at the percentage of readers vs comments, I wonder if there would be a big difference to low-readership blogs. It's definitely an interesting topic and I'd love to see some research on this. Hi Stuart, thanks for visiting my website and leaving such an excellent response. I agree with your points as well. A while ago, I had far more comments when my blog was on Livejournal because Livejournal itself is seen as more of a social platform, compared to a standalone blog. So it could be that the blogs have poor discussion platforms. Personally, I do comment on blogs if I find them interesting but if there is annoying Captcha stuff, then it might put me off (unless I REALLY need to speak out). I guess it depends on one’s personality as well. I personally have a blog website that is about 8 months old. Despite seeing some few traffic coming in and out, I still don’t get any comment from my readers. (For the record, I do encourage them to comment at the end of every new post that I create). May be it could be that I’m not writing in a way that will make my readers be involved in my articles? I don’t know but I am going to try and implement your strategy to see if it works. I have one concern though – when I do receive comments on a blog, and if those are not quality ones, won’t it actually hurt the blog? Are there comments that you actually disapprove and why? Thank you so much for sharing with me this wonderful article full of valuable information. As I said there are a lot of reasons why you don’t get comments on your blog – your website being new is one of them. Also, I don’t know what your blog url is but maybe you are actually providing such clear information that people don’t even have any questions left. You are right, low-quality comments (or some sort of feedbacks) actually aren’t good for your blog as they don’t pertain to your niche. Comments that are off-topic, “thank you” comments and the like simply “blur” out the content, reducing the density of keywords. Yes, I don’t approve ALL comments that I receive. It’s not my intent to hurt my readers but my business does come first here and if what is given to my site is not up to the standards I have set, I won’t go through with it. …then you need to disapprove them. Overall though, comments are a great way to boost your rankings and it’s actually one of the main white hat SEO strategies that you can use in 2018! I hope this post on how to get comments for your blog was useful to you indeed. What a fantastic post! This definitely gave me a lot of food for thought. Asking if anyone else has experienced similar situations to something I described, asking if they have used other products similar to something I reviewed, asking for what questions they might have about a certain topic. I also really like your suggestion of commenting regularly on other blogs and forums. A lot of my target audience uses Facebook and Instagram. I've already been a part of a certain Facebook group in my blog's niche for over a year and didn't really consider sharing my blog to it. Now that I have read your post, it seems so obvious lol! If you are a beginner blogger and still not getting comments, you shouldn’t despair: it all comes when you have more visitors to your website and keep creating quality content. It’s like a snowball effect – your visitors see one comment, then they will be easier to comment as well (I don’t know why lol). And happy to lead you in the right direction about forums and other blogs – it definitely can have a powerful effect and help you gain more comments on your website(s)! Writing about why no one comments on a blog is one way to get comments. It can be hard to get interaction, unless the topic is newsworthy or controversial. The other hard part is actually getting enough traffic because it’s a numbers game. Something I often forget to do at the end of posts is actually ask readers to leave a comment. Sometimes all you have to do is ask and it will be done. Definitely, it can be a bit challenging to get comments – on some posts I have less comments than on others, I guess it depends on how important the topic is for my blog visitors. Some people are even lazy to comment on Instagram blog posts, not to mention website blogs that require you submit your name and email before commenting. As an option, I also included a rating stars plugin, so that it’s easier for my readers to rate my article – not everybody has the time to spend time on comments or they are simply lazy, so it’s a good alternative in my opinion. Thanks for stopping by, Darren!